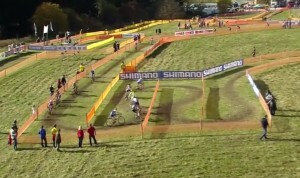 Frequently in mid-west CX courses we have turns and courses that are too narrow or taped too deliberately to allow riders to choose their own lines or technique through the corners. 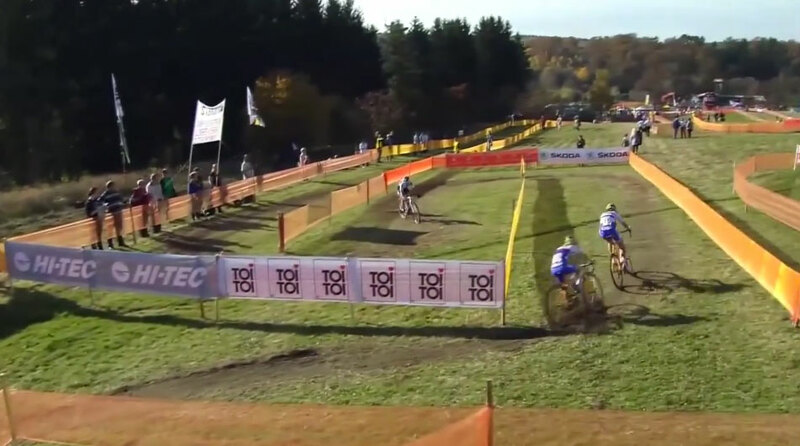 The Tabor second round UCI cyclocross World Cup course provided a great example of wide, open, turns that allow for good technical riders to gain time. The boxy fencing let the riders develop their own lines, as showcased by the burn-in in the images. Outside, inside, outside is almost always the correct choice, but as shown in the second image, this method of fencing allows for much latitude in where the riders choose to make those moves, allowing for passing and for the race to evolve as course conditions change.